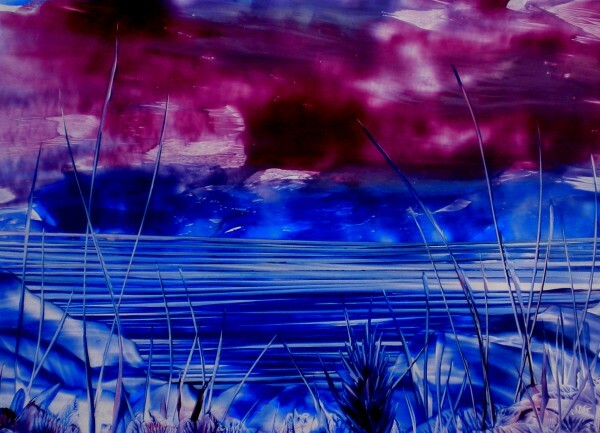 Description: An original encaustic wax painting by Julie Ann on encaustic paper and sealed with a specialist encaustic sealer, signed and dated on the back. Framed in a black box frame and mounted in a white core double white mount using acid free tape. The painting depicts a fantasy landscape in a uplifting, yet dreamy pink and blue blend. It was painted with hot wax using an encaustic craft iron and it has amazing colour, depth and texture.